The Peak District is one of our most famous landscapes in the UK. There is always something exceptional to see and an array of activities to do, so you might find it hard to know where to start. We have compiled a list of our Top 5 not-to-be-missed locations for when you are staying at Blore Hall. For landscape, this one does it all. Dovedale is the name of a picturesque valley, just a short way from Ashbourne and only 10 minutes from Blore. Part of a larger National Trust-owned area of the White Peak, this beautiful landscape is not only a National Nature Reserve, but also home to a number of popular tourist attractions. 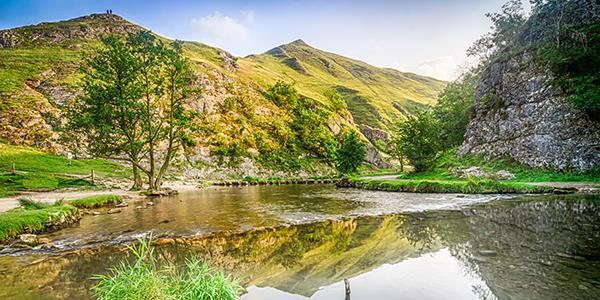 The Dovedale stepping stones can’t be missed. They are large, flat square stones that cross the River Dove just half a mile from the main carpark. They are pretty easy to get to and easy to incorporate into a longer walk should you wish to. Be warned though, at this part of the river, they are the only crossing point. If you’re feeling energetic you can do one of our recommended walking routes from Blore Hall. One particular walk will guide you on a six-mile adventure from Blore past the stunning National Trust-owned Ilam park, along the river, through Dovedale valley and over the stones. You’ll see it all! Full directions can be found at reception. One of the Peak District’s most famous locations is Chatsworth House. It has inspired artists and writers alike and continues to be a tourist hotspot today. The property dates back to the 16th century, though has undergone a series of changes and expansions since then. The interiors are stunning and it is now known for its extensive art collection. Not only is the estate itself mentioned in Pride and Prejudice, but it is also thought to have provided some inspiration for Austen’s fictional Pemberley. 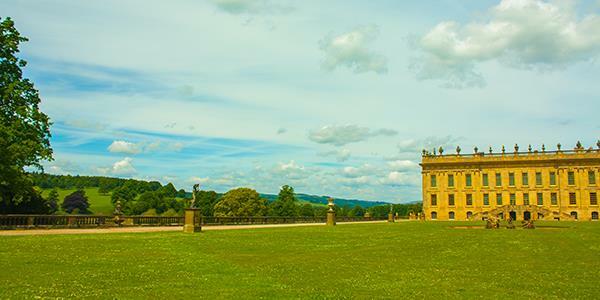 Subsequently, Chatsworth has featured in a couple of adaptations of the novel to represent Mr Darcy’s lavish Derbyshire home. The estate is also home to fantastic gardens and a parkland full of walks, as well as a farmyard and playground for youngsters. There are always fab events going on throughout the year, and onsite shops, cafés and restaurants. Different areas open at different times depending on the season, so check opening times here. If it’s history you’re after, the Peak District is full of hidden treasures. One of these is the Stone Circle of Arbor Low. Sometimes referred to as the Stone Henge of the North, Arbor Low is an interesting prehistoric site now owned by the English Heritage. The collection of more than 50 stones is arranged in a circular formation and surrounded by a circular furrow and bank. Interestingly, there are open entrances in the bank at either end, and a central cluster of remains now known as the ‘cove’. 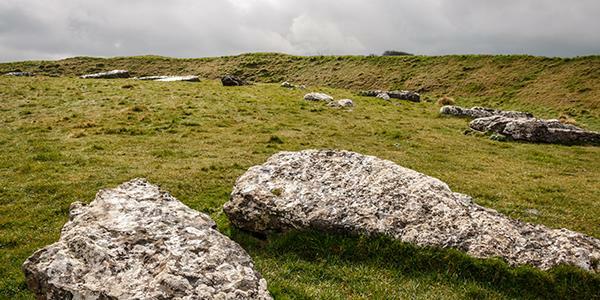 Arbor Low is connected via an earth ridge to the oval barrow Gib Hill, which is a burial mound that is also thought to date from the Neolithic period. The site is free to explore and open during daylight hours. It’s a great area for walks, but if you want to get right up to the monument then it’s £1 per person, because it sits in private land. Another important historic location, though not quite as old, is the atmospheric Peveril Castle. 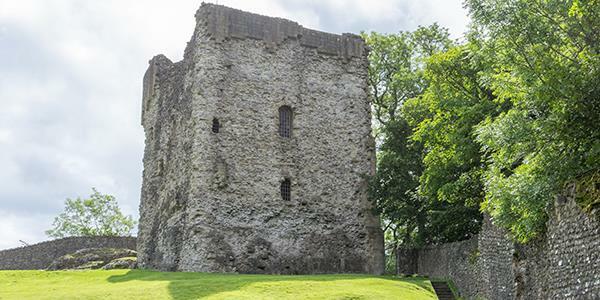 It is one of England’s earliest Norman fortresses and has a long and interesting history. It was founded by William Peveril in the 11th century though saw further building work in the 12th century, such as its keep, which was built by Henry II after he confiscated the property from William Peveril’s son. This keep still stands relatively intact today and visitors are welcome to explore it. Sitting atop a hill, looking out over Castleton, Peveril Castle commands an imposing position and has seen the surrounding town grow. It has only been since the 19th century that the castle and its pretty town have become such a tourist trap. You can walk up to the castle from the visitor centre at the bottom of the hill, and at the top of the castle you’ll be rewarded with some magnificent views out over Hope Valley. The visitor centre has facilities and a little gift shop. It features a permanent exhibition detailing the history and displaying finds from the area. 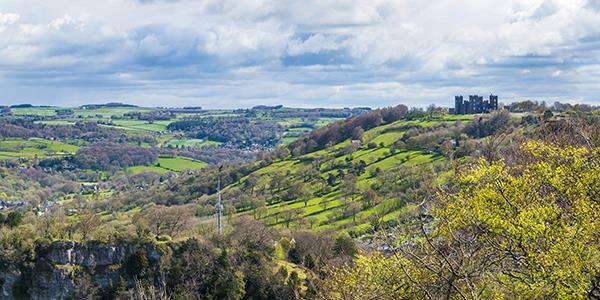 For a different view of the famous Peak District landscape you can soar over Matlock Bath and the Derwent Valley. The Heights of Abraham is a hilltop park that has been enjoyed by visitors for 200 years and is now accessed by a cable car. There is a lot to do here including two fantastic show caverns to explore, and the opportunity to learn about the area’s natural history, geology and lead mining past. Attracting visitors since the 1780s, the Heights of Abraham were once only accessible to those willing to attempt the steep slopes of Mason Hill. Eventually zig-zag paths were laid to make it easier and finally in the 1980s the cable cars made it even more accessible. Walk in the footsteps of the Victorian visitors and discover the different viewpoints over the surroundings or try out the walking paths. There is a visitor centre restaurant, café and shop so you can make a day of it. Each of the attractions is really easy to get to from Blore, which makes a beautiful holiday base. Find out how you can stay here by entering your details at the bottom of the page for a free brochure.